Four adult children. My youngest daughter is studying law at University of California - Berkeley. The next oldest daughter is working on her PhD in Human Development at the University of California - Davis. My son is an avid reader and writer, living in East Millcreek. My oldest daughter graduated from the University of Utah S. J. Quinney School of Law in 2006 and is working with me as an estate planning attorney. She handles guardianship and conservatorship matters for our clients with disabilities as well as wills, trusts and probates. Tennis, gardening, and tending my three granddaughters. Prior to attending law school, Cindy married and had two children. Since graduating from law school she has enjoyed combining her career as an attorney with being a mom. She had two more children after law school, making a total of one son and three daughters. 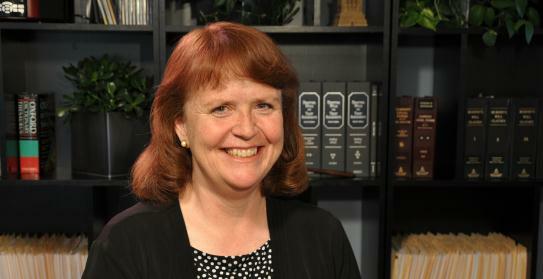 After working in a downtown law firm, Cindy established her solo practice in 1987. She now has a partner, Emily Wilson. Cindy has always focused on estate planning and probate. It is her goal to have all clients leave the office with all the estate planning documents they need to meet their goals - and to have them understand what they have signed.The office is located in the East Millcreek area with easy freeway access and easy parking. Home visits are available at no extra charge.